by Mark — in In The News....Leave a Comment on WireLurker Might Be Stopped By Apple, Doesn’t Mean You’re Safe Yet. Apple has revoked a previously legit cryptographic certificate the malware was using to sign itself: this certificate tricked iOS devices into trusting and installing WireLurker’s malicious apps. The Cupertino giant has marked that certificate as untrustworthy, prompting devices to reject any code hanging off it. “As always, we recommend that users download and install software from trusted sources. That should be that, but it’s not quite the end of the story for WireLurker. he wrote on his personal blog. “It could easily be attached to any software download in-transit across non-encrypted HTTP, such as an Adobe Flash download or other software download. Interesting that he uses Adobe Flash as a way to maliciously load software out of all the examples out there. It was Palo Alto Network that alerted the world about the WireLurker infection has gone on to said the central servers controlling the infected devices are offline, for now. Lets look at how this spread; thousands and thousands of people in China were lured into downloading and installing OS X applications from an unofficial app store that contained the WireLurker nasty. When that compromised software is run, the desktops and laptops become carriers: the WireLurker code lies in wait for an iOS device to be paired with the OS X computer via USB. Once a connection is established, the malware uses an enterprise security certificate to silently install malicious apps on the iOS device. This allowed the malware to spread itself even to non-jailbroken iPhones and iPads. Researchers believe the malware was able to pass victims’ Apple ID credentials and contact information back to the command and control server. 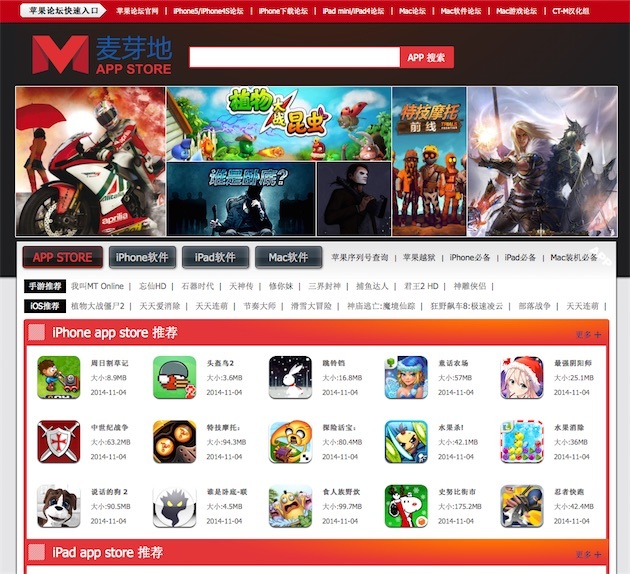 Maiyadi popular Chinese third party Mac app store with over 1.2 million users hosted over 450 Trojan apps containing WireLurker. These apps were downloaded hundreds of thousands of times.